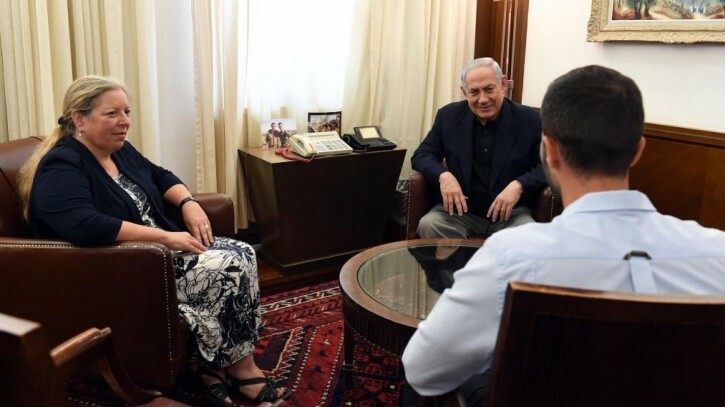 Amman - Jordan said on Thursday that Israel had formally apologized for the deaths of two of its citizens killed by an Israeli security guard last July in an incident that has soured ties and led to the closure of the Israeli embassy in Amman, state media said. Government spokesman Mohammad al Momani was quoted by state news agency Petra as saying the Israeli Foreign Ministry had sent a memorandum in which it sent its “deep regrets and apologies” over the incident at the embassy and said Israel pledged to take legal steps in the case. Jordan maintains that even if the guard had diplomatic immunity that did not mean he could not be punished. The embassy was closed shortly after Israel hastily repatriated the guard under diplomatic immunity to prevent Jordanian authorities interrogating him and taking any legal action against him. The Israeli ambassador and embassy staff were pulled out. Jordanian officials have treated the shooting as a criminal case and say the two unarmed Jordanians, one a bystander and the other a teenage workman, were killed in cold blood by the armed guard. Israel said the armed guard opened fire after being attacked and lightly wounded by the workman, who was delivering furniture at his home within the embassy compound, and acted in self- defense, in what Israeli officials called a “terrorist attack”.